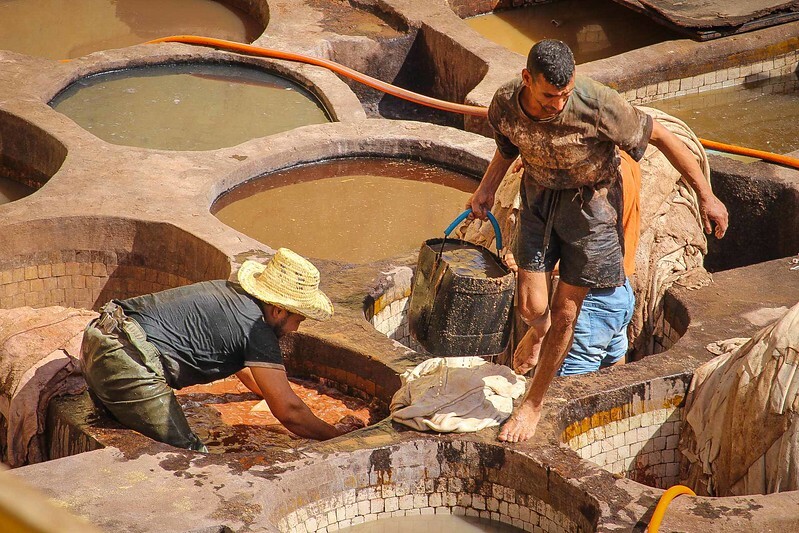 Just when you may think about complaining about your current job – consider the men that work in the tanneries of Fez. The three-step curing action for the hides requires moving them from one toxic tub to another. The recipe to soften and finish the leather contains exotic ingredients ranging from cow urine to pigeon poop. I felt a guilty pleasure while snapping surreal images of this aged process, all the while clutching a sprig of peppermint under my nose to dissipate the “odours” floating up below.